These terms and conditions apply when you use our website. By using this site, you are deemed to agree to these terms and conditions. We may update these terms and conditions from time to time. 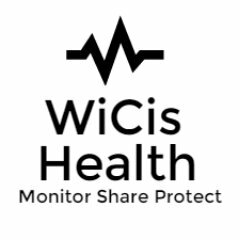 WiCis provides this website for your general information only. We do our best to ensure that the information on the website is accurate and helpful at all times. However, we cannot ultimately warrant the accuracy of that information and cannot be held liable for any use or reliance you may make of or put on it except as specifically agreed with us in any further agreement we may make with you in writing. Products referred to may not be available in all countries or may be known by a different name. Indications for use may vary from country to country. The information contained in this web site is general in nature, and is not intended to substitute for advice provided by an independent professional experienced and practicing in that area. Users are advised to consult with such an independent professional and to check any product information for specific information, and any new or up-to-date information or changes. Nothing on this website should be construed as an offer to provide service. The information on this site is time-based, and may well no longer be an accurate reflection of our current position. For the purposes of forming a contract, no information on this website should be considered accurate until it has been confirmed by us in writing. No offer to contract shall be provided by us from this website, and any offer must be signed by an officer of the company. We reserve the right to change the terms and conditions under which the web site is offered at any time. Any such change in terms and conditions will be effective once reflected in the text of these terms and conditions and published on this website.